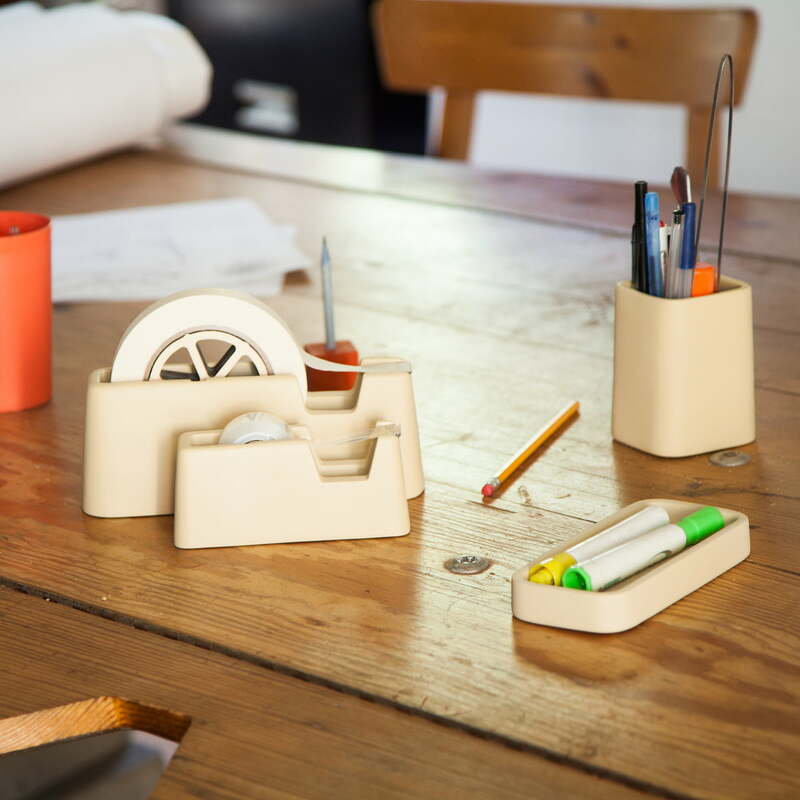 Concrete isn't only suitable for construction purposes – it can also really be used for desk accessories. 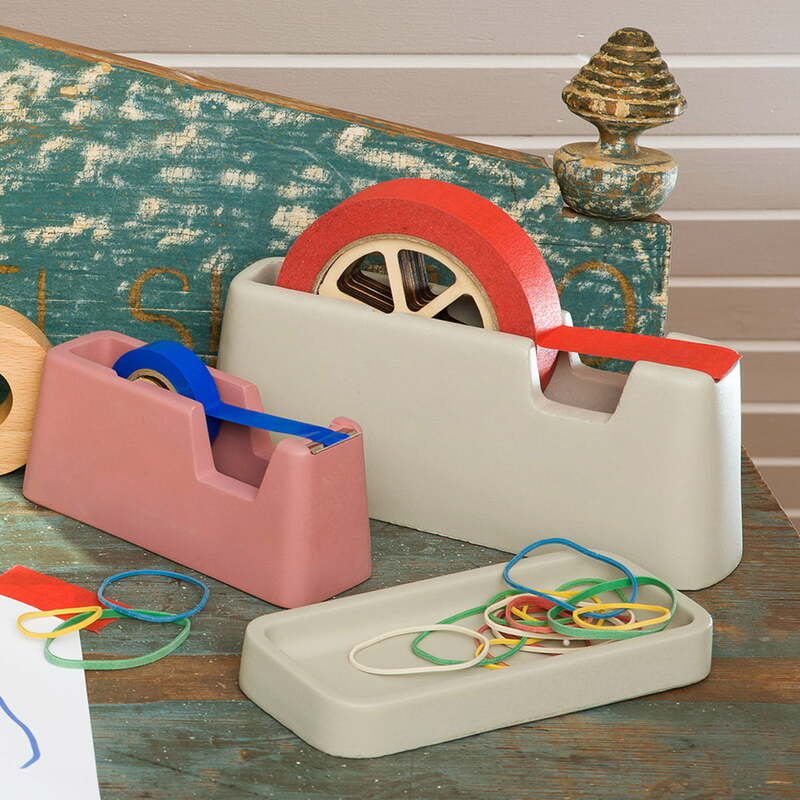 The set out of a small tray, a pen holder and adhesive tape dispenser will strongly impress. 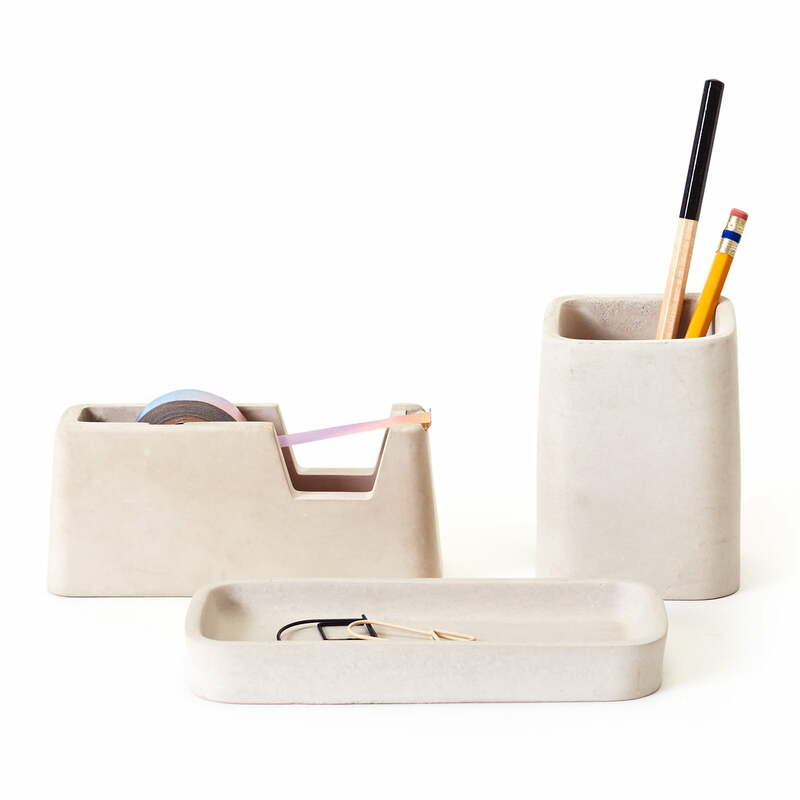 Group product image of the 3-part Concrete Desk Set by Areaware in grey. 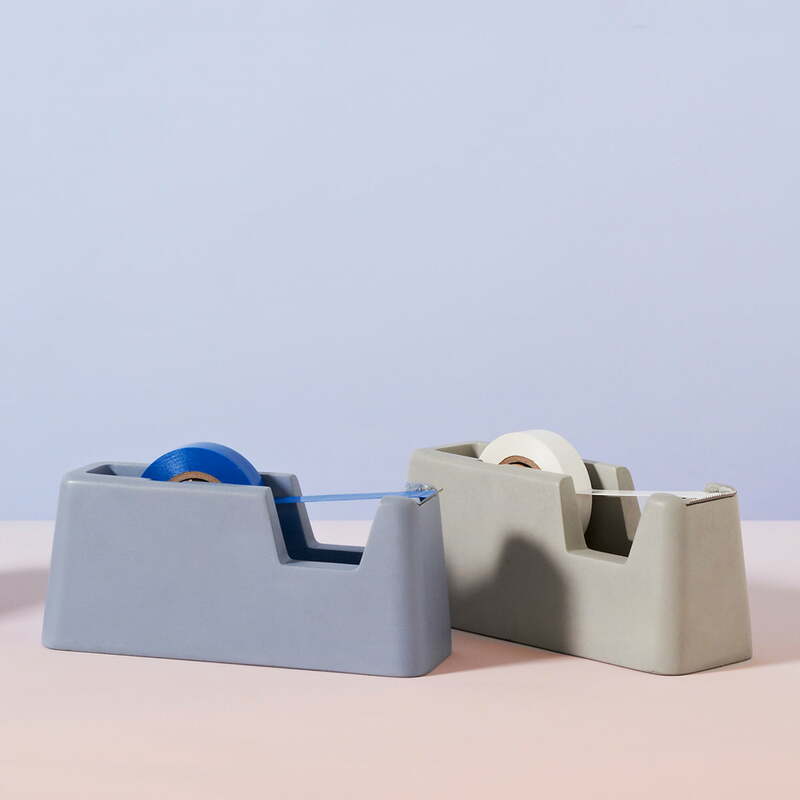 The designer Magnus Pettersen has ensured that the three parts from the set complement each other harmoniously.